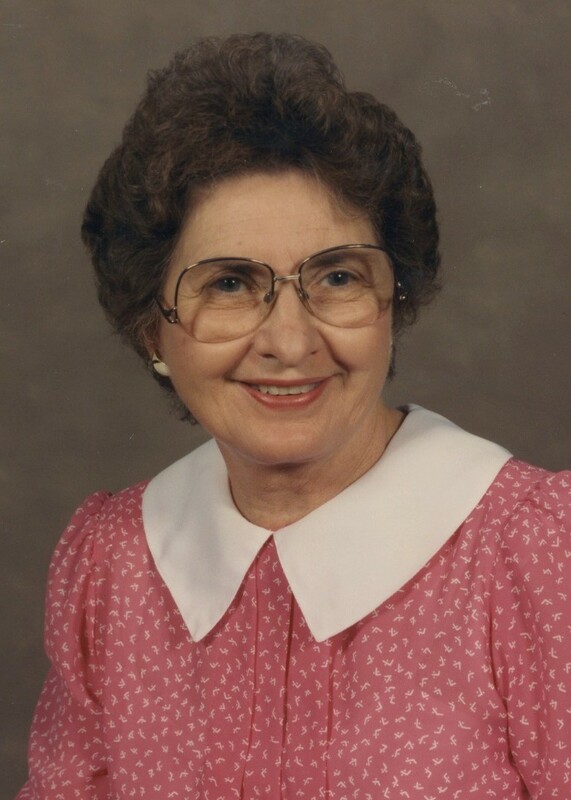 Alice Josephine (Cluff) Ellsworth passed away on April 11, 2018 in Mesa, AZ at the age of 88. Alice Jo was born on December 9, 1929 near Pearce, AZ to Alfred Orval and Clea Emily (Nielsen) Cluff. She graduated from Mesa High School in 1947 and from Arizona State College in 1951. In 1951, she married Lloyd Reed Ellsworth, and they welcomed six children into their home. Alice Jo was a devoted and talented homemaker. One of her favorite hobbies was family history work. Alice Jo was an active and dedicated member of The Church of Jesus Christ of Latter-day Saints. She served in many capacities, including two full-time missions. Alice Jo is survived by her children, Scott (Lynette), Doug (Diane), Steve (Susanna), Nancy (Kelly Hall), David, and Michael (Kimberly). She is also survived by 31 grandchildren and 44 great-grandchildren. Her posterity remembers her for her kindness, her selfless service, and her testimony of Jesus Christ. Funeral services will be held Saturday, April 21, 2018, at 11 a.m. Aspen Ward LDS Chapel, 1249 S. 48th St. in Mesa, Arizona. Friends may call at Bunker’s Garden Chapel, 33 N. Centennial Way, Mesa, Arizona, on Friday, April 20, 2018 from 6 to 8 p.m. There will be no viewing prior to services on Saturday morning. Interment, City of Mesa Cemetery, 1212 N. Center St, Mesa, Arizona, Saturday morning at 9 a.m. prior to services. In lieu of flowers, consider donations to LDS Church Humanitarian Fund, LDS Church General Missionary Fund, or Child Crisis, AZ. You used horseshoe nails to hold the tacos together? We will miss your many acts of love. Our deep condolences to the family and especially to Reed. A memory from Kathy: I loved Alice Jo! I was her visiting teacher when we first moved to this area and we were all in the same ward. One time when I visited her I was admiring her vast (and carefully picked) book collection. As we talked about books, she told me that one of her favorites was The Pearl. She had a paperback copy of it and gave it to me! I went home and read it quickly so that I could report back to her the next week. We had a wonderful chat and talked about it many times. From both of us When each one of our children were given their Patriarchal blessing from her husband she welcomed the parents with WONDERFUL “fireside chats” and was just the most fun to talk to. She will be missed. Sister Ellsworth (Alice Jo) was wonderful. So many times she would host us teenagers (Michael Ron and friends) saying I’d rather have you here than at the picture show. Liselle and I enjoyed interactions with her and appreciate her kindness and humor. One time Mike, John Duke, Nate Skinner and I were going to go fishing at West Clear Creek and planned to wake very early in the morning to leave. So we slept over at the Ellsworth home and Alice Jo woke up and made us pancakes at 3 AM to feed us before we left. Such a great example of selfless service to others, including a bunch of teenage boys. Happy reunion for Reed and Alice Jo! Nothing but happy memories and the greatest respect for her. Condolences to the Ellsworth family. So sad to hear about Alice Jo’s passing. I counted her as a very dear and special friend. Love and blessings to all her family.